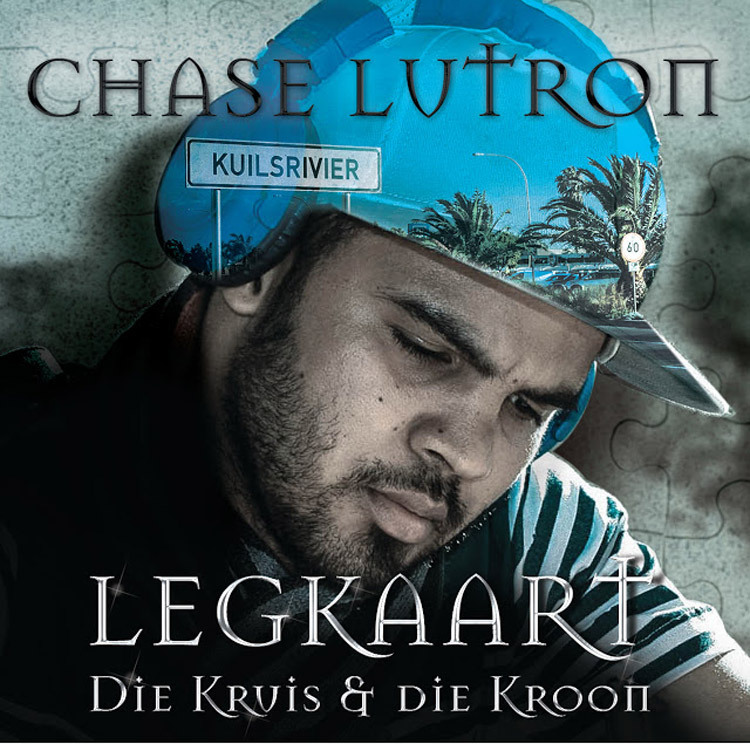 Cape Town rapper Chase Lutron (Hiperdelic Records) has just dropped a vid for ‘Kalsium’, a track off his independently-released 2012 album ‘Legkaart: Die Kruis en Die Kroon’. 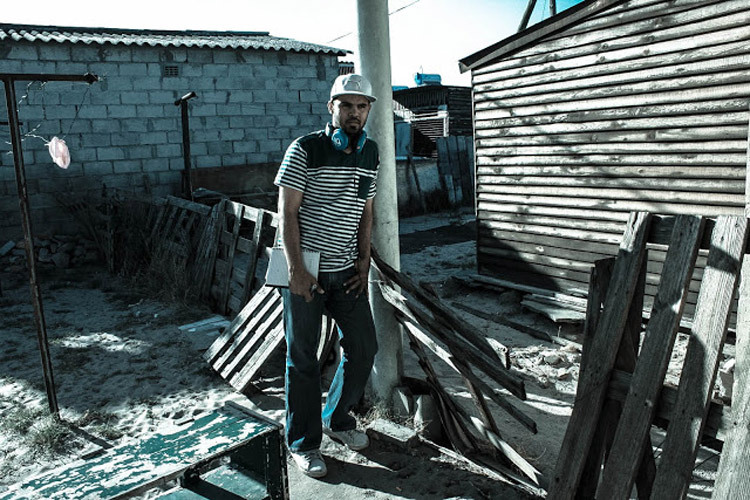 In the song he represents hard for his community of Kuila (aka Kuilsriver) and offers a heartfelt dedications to his slain best friend B-boy Ice. Here he takes us through the meaning of the track and his thoughts on the rymklets scene. This joint is called ‘Kalsium’, in reference to the Cape Flats slang phrase ‘maak jou bene sterk’, meaning to “strengthen” or “uplift”. Who is this message aimed at? The message is directed at all the people involved in hip hop, on any level, not just artistically. But I do emphasise the Afrikaans circles, the Cape Town vibe and especially the coloured community. Isaac was shot in front of me in December of 2010. He was a great friend and a teacher to many. He has been credited with pioneering b-boying in Kuila, but he was more than a b-boy, he was hip hop culture in the flesh. He had an amazing understanding of the art. He was also extremely humble, like as in real humility flowed from the man naturally. He taught hundreds of b-boys in his lifetime. Many will probably not admit that he taught them, but that never bothered him. He had opportunities to join very well-known and accomplished b-boy crews, but he chose not to, because he wanted to build something in Kuila that was unique to us. He was dedicated to friendship, loyalty, (he was a) servant with royal status; a servant-king. Kuilsriver owes him a lot. Tell us about your initiative called Project Break Free, and how you believe teaching elements of hip hop can effect positive change in your community. PBF was Isaac’s brainchild. He started teaching kids in his street to b-boy and it grew from there. We hooked up and decided to put all our resources together to make this an official move for Kuilsriver. Emcees like Cream and Likwit and my homeboy from Delft, Shelby Lamford, got involved with the project and it has become our heart. We teach kids various principles like discipline, respect, unity, loyalty, restraint, patience… We also promote health, hygiene, reading as well as knowledge of self. All this we do through hip hop, especially through the b-boy element. We are currently doing workshops in the Sarepta Sports and Recreation Centre twice a week. Leroy ‘Keath the Technician’ Wentzel has taken over Isaac’s role which was, and still is, not easy to do, but we are grateful that he is committed to the cause that Ice laid the foundation for. To answer your second question, hip hop culture is so powerful and it has infiltrated almost every sphere and industry. The various elements take hard work and dedication to perfect, so that in itself teaches us commitment, discipline and patience. By opening the doors of the culture to the youth we close the doors on gangsterism, violence and drugs. Hip hop also creates a thirst for knowledge and forces you to inspect your life. It helps us communicate and generally builds self-esteem and character. This is what hip Fhop can do if it is presented in its pure, cultural form to our communities. PE rap veteran J-Bux (@Mrbux) cameos in the vid. What was his involvement in the project? Me and J-Bux just had huge respect for each other’s music and lyricism, but it grew from there to a point where we have become like spiritual brothers. He made this video possible. He initiated it and came down to Cape Town to help out on the set. He connected me to Hook Jefferson, the genius behind the camera. I owe this whole project to J-Bux, the dude believes in what I do and the feeling is mutual. It’s great working with mature-thinking people in the culture. I consider myself fortunate. Big ups to Bux! It can’t hurt to have Hipe on your side as well. What affiliation do you have to Hiperdelic? Do you guys collaborate on a regular basis? I have recently joined the Hiperdelic label, so I am grateful to break bread with the man officially as one of his artists. The music that is being cooked up in the Hiperbolic chambers is boiling hot and you will see what I mean when Cream’s album comes out. I heard some of the tracks, they’re ridiculously ill! On the second verse on ‘Kalsium’, we hear you venting your frustration by saying: “‘n mens het genoeg gehad, ek plan om moves te maak wat verseker dat realists op hemelse stoepe staan, as die deure oepe gaan, dan wil ek die Here soema vra,’Hoekom wag ons so lank? Gee die kleurlinge ook ‘n kans.” This can also relate to the rymklets movement right now. 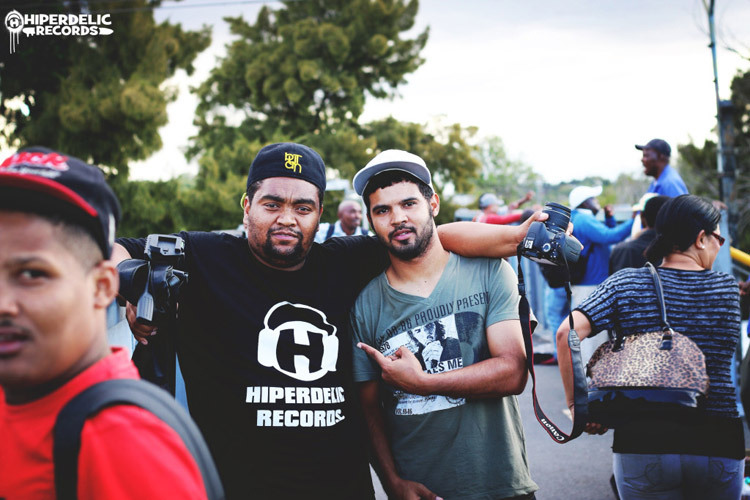 It’s a vibrant rap scene that’s been around since Brasse Vannie Kaap, but has been largely ignored by the media. I always ask myself – are we, the rymklets movement growing or just swelling? I am still wrestling for an answer to that question. And as far as the media goes – they will ignore anything that teaches the masses a level of truth because truth can really set you free. They don’t want the people to know the real history of themselves. They don’t want women to know that beauty really is internal, they don’t want men to know that character is better than charisma. They want us to look at the TV and draw our ways of running a family from these retarded shows. In the age of the internet, we must now just pressurise this government to give the common man regular and speedy access to the net, but government won’t do it because it contains too much information, it exposes their corrupt souls and so much information that can empower our people. Do you have any suggestions as to what role players in the rymklets scene can do, to be taken more seriously? Or to a point where guys like you, who have the structures and resources, can make a living off your craft? Right now you juggle a full-time job while making music. Do you foresee yourself having a career in rap or is it just a way to vent or spread a message and create art? I think it’s something I could do full time, but at the moment I can’t say if I want to have a career in rap. That said, I am definitely committed to the art full time. ‘Kalsium’ did well for you when it dropped back in 2012. It got radio play and topped charts on CCFM and appeared on Ready D’s Hip Hop Chart. I’m sure you would have wanted the video out a lot sooner. How come it took so long? Yeah, it got a lot of airplay, it still does, especially when Ready D does his thing on Good Hope FM. The song and the album came out late in 2012, and in 2013 I dedicated the whole year to my studies and only did one performance. I was looking around, enquiring about shooting a video, but the right person at the right price never arrived. But I have no regrets at all, because I think the Kalsium music video is something that we can all be proud of. Again I have to say thank you to Jbux and Hook Jefferson for doing this for me. Much love to those PE brothers! I think it’s quite interesting that you can appeal to a Christian audience and to hip hop heads at the same time by using the language of the ghetto – Afrikaaps – when Cape Flats slang is usually frowned upon or has the stigma of being “vulgar”. How important do you think it is to rap in Afrikaaps and use it to dispel negative notions? One of the ways to successfully colonise a people is to destroy their language. This is what happened in many African countries and even in the USA with their native people. It happened in South Africa, so I think it is important that we who have an Afrikaaps tongue must not be ashamed of it and be willing to show people the intelligence behind it. If you listen to my music, my lyrics and vocab are sometimes over the heads of even some Afrikaaner friends and supporters of mine because it’s not just basic rhymes, it is cerebral. I can communicate efficiently with the guys on my corner, but I can speak to a professor as well and still hold my own. So it is vital for us to keep propagating our lingo with pride. Plus this dialect just sounds so much more authentic.  You put out ‘Legkaart: Die Kruis en Die Kroon’ independently. What were some of the challenges you faced getting it out there? The biggest challenge was getting the mixing and mastering done. The rest was not a problem because of relationships I have built up with producers, and they knew I wouldn’t mess around on their beats. I did not pay for beats or the design, only for the printing. I must also mention Linkris and Seth Grey (AKA Maximillian Sinestro). Linkris hooked me up with Seth, who gave me vrag beats without hassle. My prayer is for them to prosper on all levels. Your name sounds comic book-inspired, but I hear there’s another story to that? It nogal does! The real inspiration is my love of the original Bible scripture texts . I came across the word ‘Apolutrosis’, meaning ‘Redemption’ in Greek. ‘Lutron’ is part of the root of that word and literally means “ransom money to free a slave”. ‘Chase’ I added basically to declare this is what I am after, and this is what I want to see in other people’s lives as well. Have you been writing and recording any new material since the album dropped? Yes, I have been writing and I have recorded a couple of songs already with Hipe. We have started working on a new album and the excitement levels are sky high. Hipe is genius with the beats, but he is also superb when it comes to producing the song as a total product. I have been in the studio a few times now with him and Cream and the chemistry is explosive. I don’t want to give away too much, but look out for Cream’s album, the guy is just getting better and better and then Project Break Free will drop an album that is going to blow minds and restore hearts! Guys,Eedmai fanatikos akothras sas kai ke1toxos kai tou “maketou” alla kai tou “Mounioth Kapelo”. Synexiste na eistai etsi euxaristoi kai dimiourgikoi to prwi me mousikh ligo ap’ola. Ta “extremes” monoi n’apofeugete, dhladh hard rock kai poly laikoures.Sas euxaristw gia thn kalh diathesh pou diamorfonete kathe prwi prin th douleia!Alexandros A.